Latest deal in 2010, make a resolution to rendezvous amongst the Hollywood hipsters with “Have Fun a la Grafton – 2010” hot last minute deals. 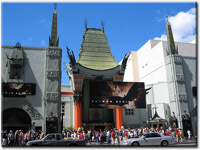 With daring deals up to 15% off for those who book ahead, vow to gallivant like a glam-god on the legendary Sunset Strip—visit Grafton on Sunset http://www.graftononsunset.com/specials.php to find last minute deals on your West Hollywood adventure! Summer in the City—Let the Fun Times Roll! Every day’s a festival in Los Angeles and every night’s a party at Grafton on Sunset on the Strip. In the hallowed city of West Hollywood, on the bustling Sunset Boulevard, Grafton on Sunset is a one-stop extravaganza for wild West Coast mischief and chill California leisure. This summer, stop, drop and rock-&-roll with the Sunset Strip Music Festival—dance in the streets, and let your two feet guide you from stage to stage, from bar to bar, from friend to friend. This free festival is the highlight of every sunny LA summer—don’t miss a chance to get up close to the music scene’s most major artists and stay at the hippest hotel, right down the street. Sip, shop and sing your way through the gritty city. See the stars, sights and shows; then, return to your sinful surroundings at Grafton. • Book 21 days in advance & receive exclusive deals.